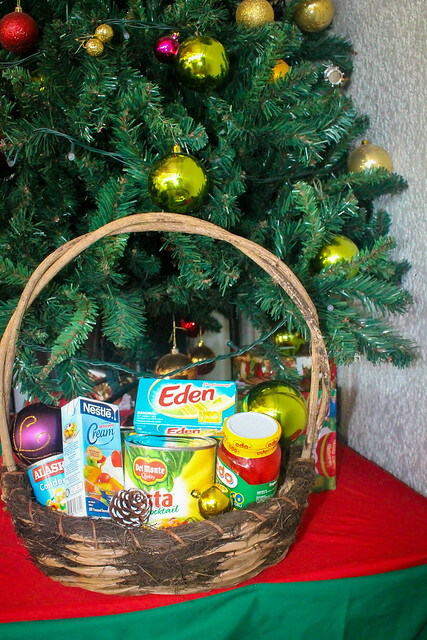 It's Christmas in 2 days!!! Merry Christmas to all those who have supported Chic Mix, my little space here in the big world wide web. 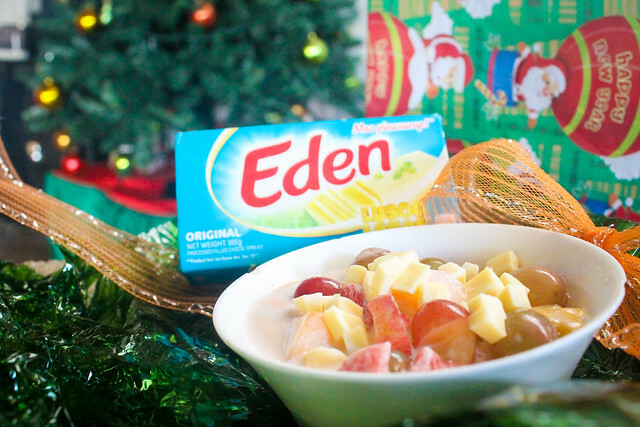 As a gift, I'm sharing with you guys my mom's fuss-free and easy to make Fruit Salad. It's got a special ingredient that makes the salad a little bit sweeter and gives balance to the sweetness of the milk. 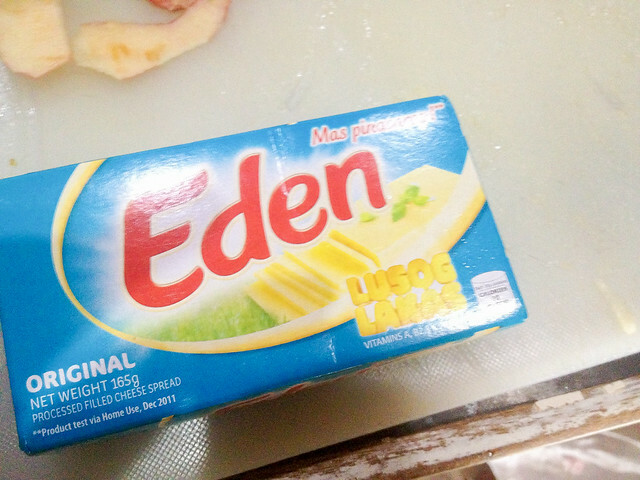 Yeah, I'm talking about EDEN cheese. 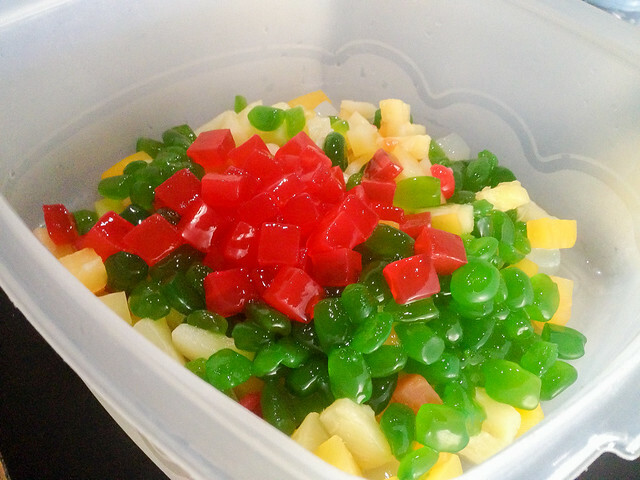 My mom always adds this in her Fruit Salad, and ever since I became married, I adopted her recipe whenever I miss her cooking or when there's a special occasion. Open the Fruit Cocktail and drain the juice using a strainer. Add the fruit cocktail in a big bowl/ tupperware. You can save the juice in a pitcher, add ice and some water to serve. :D It's pretty yummy! 2. 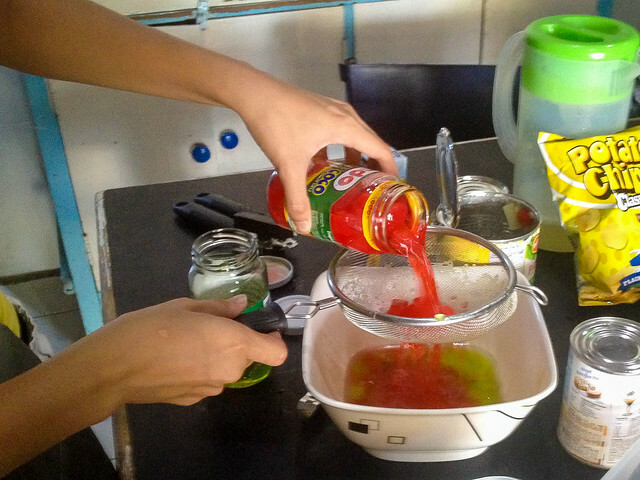 Open the bottles of Kaong and Nata De Coco and strain the juice as well. 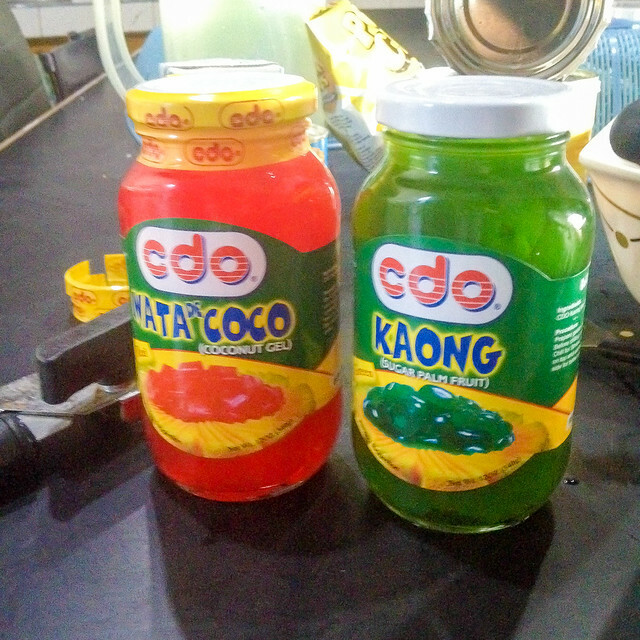 Add the Kaong and Nata De Coco to your big bowl of fruit cocktail. 3. In a separate bowl, add in 1 can of condensed milk with 3 packs of all purpose cream. Mix well. This ratio is one that is not too sweet and not nakakaumay.. Add in some more condensed milk if you want a sweeter fruit salad. This ratio is my usual as well for graham cake recipes. 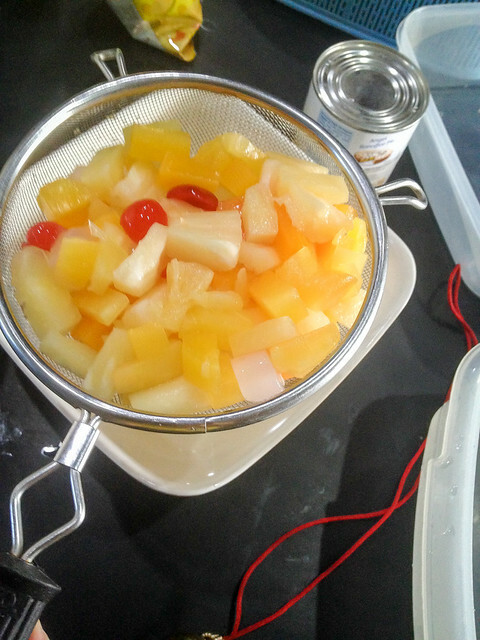 After mixing, add the milk into the Fruit Cocktail and Nata De Coco and mix some more. 4. 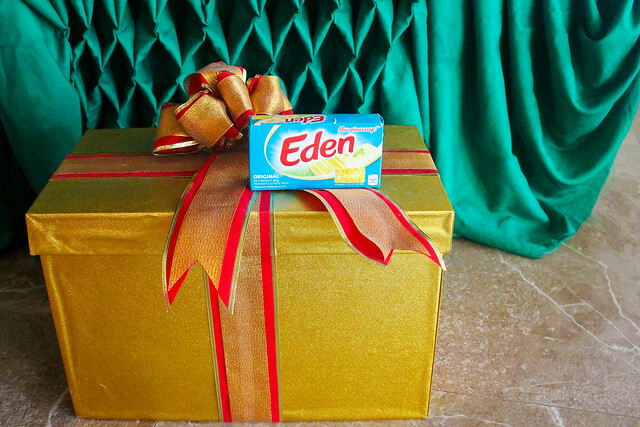 Slice your Eden Cheese in Half, and dice em up. 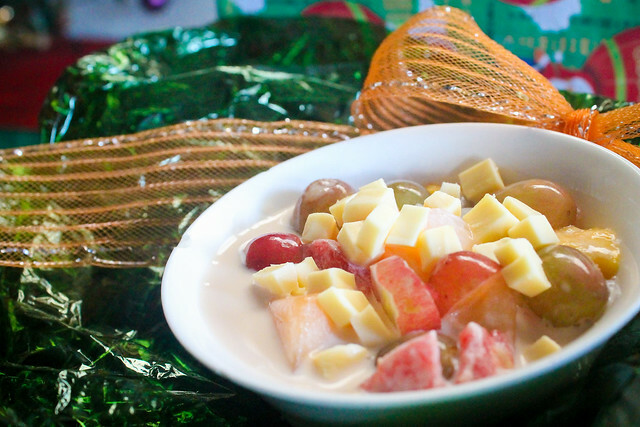 Add this cheese along with other extra fruits you might want to add in your fruit salad, like apples or grape slices to make it extra special. Chill (NOT in the freezer) for 4 hours before serving.